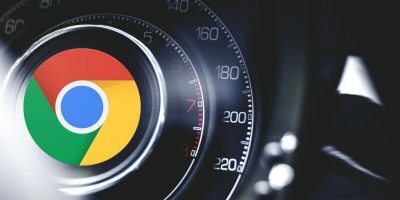 For all the great email clients like Mac’s Mailbox and some not so good ones like MS Outlook, the most reliable way of using Gmail is still in your browser – preferably in Chrome. But when you’re using Gmail on the Web, you don’t get additional features that some dedicated apps provide. The Gmail’s web app is really bare-bones (Inbox is trying to make it a bit better). All you can do is read and write email. If you want to do more, you need to hunt for other services that plug into Gmail. Want to track read emails? Install Mailtrack or Bananatag. 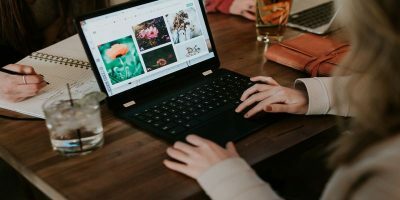 Want to send a survey to your readers? Try Google Forms or Typeform. Want a better scheduling feature? Try one of the hundreds of calendar apps out there. This is where Mixmax comes in. It does all of the above and more. It’s an integrated solution that’s going to make many standalone extensions and services redundant. 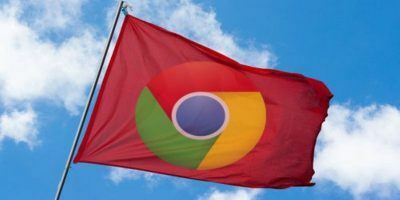 It’s a Chrome extension that works via Gmail’s authorization feature. 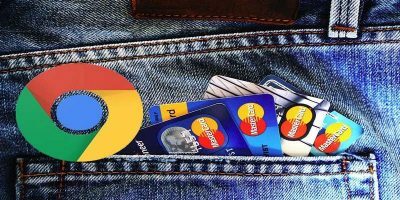 You log in to Gmail and give the extension access (without providing your password), and the extension adds a plethora of features directly in the Gmail web interface. Let’s see what all it can do and why you might want to use it. If you’re writing a long email, you’re going to love the fact that you can finally write in Markdown in Gmail. The extension supports basic Markdown features like headings, bold, italic and lists. But I wasn’t able to get links working using Markdown syntax. This is quickly becoming a must-have feature for every email user. It might look a bit too creepy at first, but it gives you, the sender, the power you’re going to love to have. 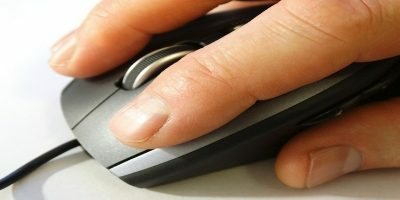 Knowing exactly when an email is read, how long the person chooses to wait before replying, who all have read it (if it’s a group email) and more is very useful. For marketing folks or for people who are used to sending bulk email, it gives you a sense of closure. If the person has opened the email once and hasn’t replied, they’re probably not going to. If they’ve seen the email a couple of times, you can be sure they’re articulating a better reply. 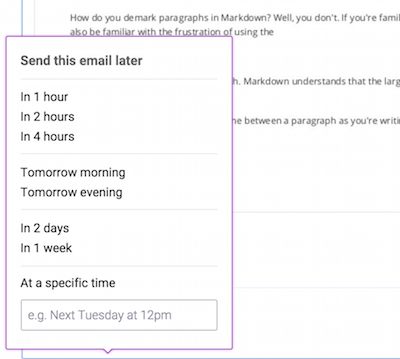 If you’re the kind of person who sits and writes email in bulk and decides to send them at a later stage, you’ll be glad to know that Mixmax has an email scheduling feature built in. Mixmax has an “Availability” section where you can create a calendar event (via Google Calendar) and send it to someone in a format that’s going to make sense. And when they click on the link and join the event, you’ll be notified. 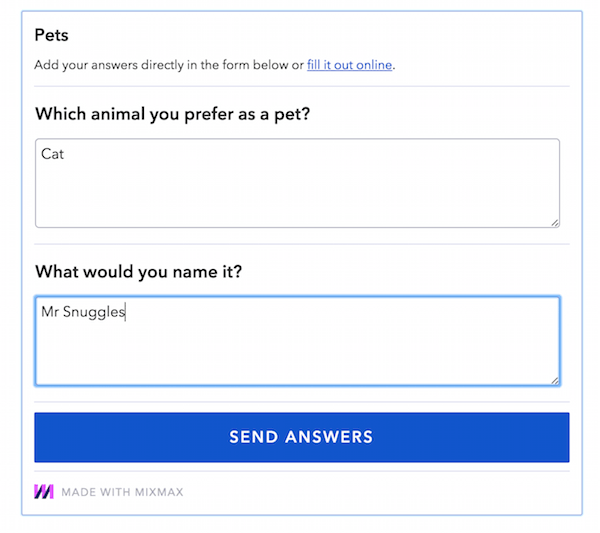 One of the highlights of Mixmax is the Q&A and Yes/No survey feature. You can integrate it right in your email, and the correspondents can answer your questions from within Gmail. All they have to do is type in the text and hit the “Submit Answers” button. This will open a new tab, and the answers will be submitted. You’ll get an email with their answer. When I answered the survey from Safari on Mac, the browser showed me a warning about sending data to another site. On Chrome, there was no such popup (even after disabling the Mixmax extension). If you send frequent emails, you repeat stuff a lot. It can be your introduction paragraph, pricing policy, guidelines or your pitch. You can convert text to templates and reuse it easily. 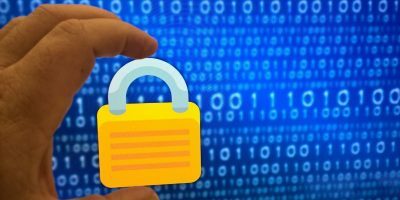 Mixmax will let you send password protected emails. The receiver will only be able to read the message after typing in the password that you provide. The issue is that this feature isn’t implemented very well. The receiver needs to click on an image to get to the authentication page. Images are disabled for many email clients. Also, there seems to be a bug when it comes to typing in the password. When creating a password and typing it to access the file, the password is visible in text form. I don’t think Mr. Bond is going to be using Mixmax anytime soon. You don’t want your email to look like everyone else’s, do you? 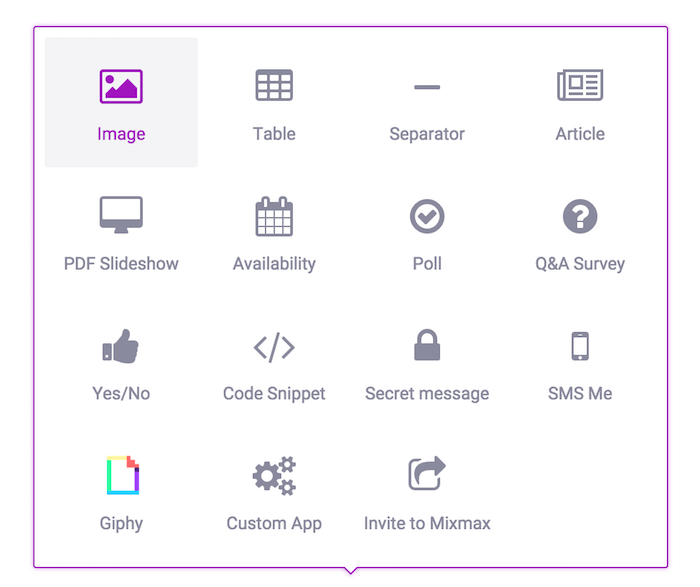 Mixmax lets you fake sophistication by providing you with five sharp-looking templates to go with it. By default, the extension selects the “Modern” template. Gmail now supports adding attachments from Google Drive, but Mixmax adds the much needed Dropbox (and even Box) integration. 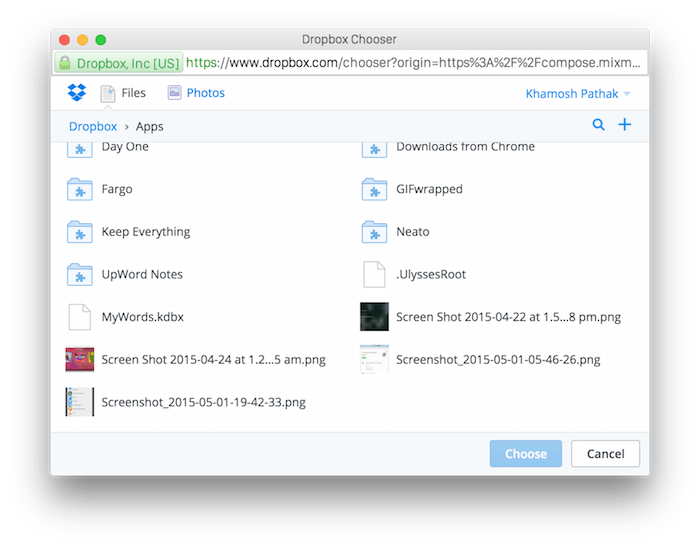 Dropbox integration is really simple. Just click the “Dropbox” button, choose the file and the link is attached in a visual form. Continuing the sophistication angle, Mixmax gives your links a makeover. When you paste in a link to an MTE article, it will show the title and a description. You can also add code snippets, and pasting in a Github Gist file will import the whole text right in the email with proper formatting. When I started using Mixmax, it was fresh out of beta and everything was free. Recently they’ve added a pricing structure. But to their credit, the free tier is meaningful. There’s enough stuff there that most of us (including myself) can continue using the free tier. For free, you can schedule ten meetings, get basic tracking for 100 emails and you get ten templates. The surveys, polls, previews, templates and Markdown features are free for everyone. Mixmax paid plans start at $9/month. If you’re a marketer or an executive who deals with email a lot, you should keep an eye on Mixmax for the next six months. They have features like mail merge, click tracking and more coming up. Do you use added services for Gmail? Share with us in the comments below. I just started using this extension, and I didn’t even realize it has Markdown support before this post. Great boost to my productivity, AND removing the need to go to great lengths to use Markdown in emails? Yes, please. I like to know when my e-mail is read. Also, it makes easier to put all those useful things in e-mails like code snippets or polls or to make shiny e-mails. It’s an awesome extension for mail tracking, especially for gmail. Sometime I missed my notification for new mail, now with this. I never missed important mail anymore. And the features make it easy to sort my email. It is a very useful extension. 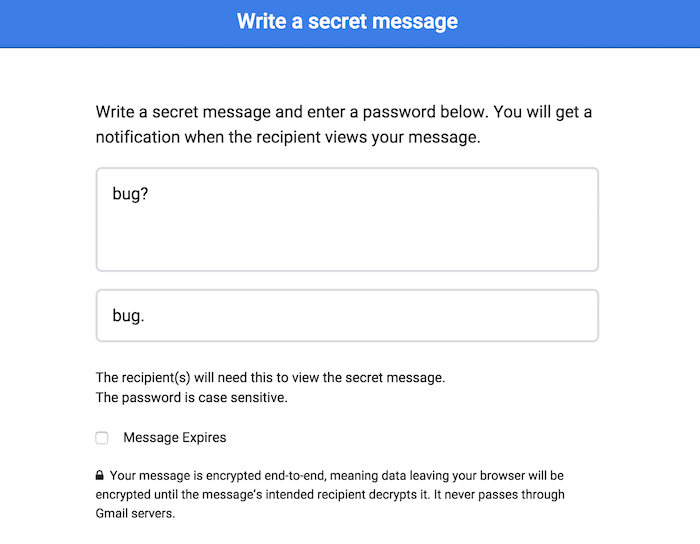 Email tracking and secret message sending are my most favorite features in this extension. I will be informed when my message is view by recipient. Simple awesome! Mixmax is a very helpful and valuable application especially for persons whom their field of work depends on them being organized and following a schedule. One of the things I observed is that it shows you when you last read an e-mail which helps the user to track the series of events that took place on a particular day. Another benefit is that it prompts the user to install google chrome which works best with the MixMax application. 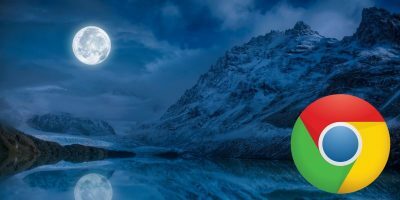 Therefore in a sense it is a marketing tool for the use of google chrome. Writage: A New Contender for Windows' Best Markdown Editor?